Last year’s Marvel power split resulted in Kevin Feige assuming control over all things Marvel Studios and Isaac “Ike” Perlmutter at the mast of Marvel Entertainment. This split put an ever bigger rift between Marvel Studios and Marvel Television, who had promised its fans a cohesive universe among the properties seen on both the big and small screens. Now there are subtle narrative hints that the various television series make to the films, but the latter hardly seems to acknowledge their TV sisters. The most recent sign of trouble was when The Inhumans‘ release was pushed back indefinitely. Agents Of S.H.I.E.L.D. had been using the characters as a device to move the narrative, but given the lack of harmony between the two, it was unlikely we would ever see the two unite in the upcoming Avengers: Infinity War films. Now S.H.I.E.L.D. star Chloe Bennet, who plays Skye, is expressing her frustrations over Marvel Studios not acknowledging the TV universe, despite the claim that the MCU is a shared universe. More on the story below. When it was announced that Marvel would be expanding the MCU on Netflix by airing four series based on heroes of New York City, it was hoped that such an expansion would mean that said heroes would appear in the final two Avengers films – soon to be retitled. But finding a way to fit 67 characters into the two films would be problematic and highly unlikely to happen. But having all the characters from the films and television would be a true comic book movie event of epic proportions. Now that Captain America: Civil War has had its hugely successful opening weekend, writers Christopher Markus and Stephen McFeely recently talked about the possibility of the crossover happening in the two upcoming Avengers: Infinity War films once more. Check out what they had to say below. 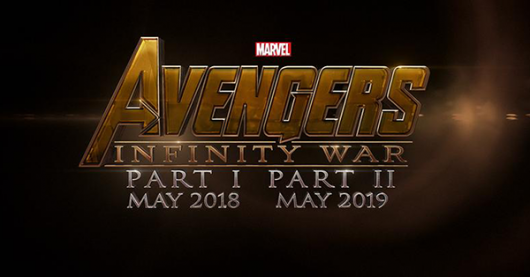 In 2014, Marvel made a huge announcement about the future of the Marvel Cinematic Universe saying that Phase 3 would end with a two-part Avengers film appropriately titled Avengers: Infinity War Part I and Part II. Most believed that the project was following the tradition of closing trilogies being split into two films. With the amount of characters involved throughout the entire three phases, it would probably be best to split it into two films so that the characters got their justified screen times. Now with the Captain America: Civil War press tour pretty much completed, The Russo Brothers are talking about Avengers: Infinity War, and have dropped one very revealing detail. According to them, the Part I and Part II titles are “misleading.” More on the story here below. 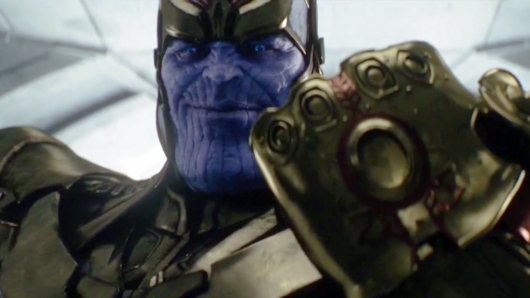 For Marvel Studios, Avengers: Infinity War is so massive it had to be split into two parts. The Russo brothers (Anthony and Joe) will be reteaming with their Captain America: The Winter Soldier and Captain America: Civil War screenwriters Christopher Markus and Stephen McFeely on the two-part epic. While the Russos let slip and then backtracked on the idea that there will be 67 characters in the film, Markus and McFeely went on to clarify even further how many characters will be facing The Mad Titan. 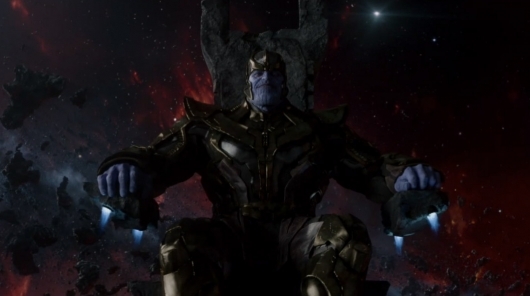 According to them, there won’t be 67 characters but Thanos will be getting lots of good screen time. More on the story below. It’s hard to believe that Marvel Studios is where it is now. Captain America: Civil War is the 13th film of the Marvel Cinematic Universe, and we’ve already seen it, and plan to release more news from the film’s press conference in the coming weeks. But none of that could have happened without Jon Favreau helping to lay out the groundwork with the first two Iron Man films. And even though he no longer directs films for the MCU, the filmmaker is now set to make his return to where it all started for the MCU by signing on to be an executive producer for the Avengers: Infinity War two-parter. More on the story below. There has been a common theme for studios to turn the end of a film franchise into a two-part finale. Traditionally these two parters have the first half act as some sort of prologue with the final half being an explosive action-packed film. However, Anthony and Joe Russo will be taking a different approach to Avengers: Infinity War Part I and Part II. Instead of the substandard film split into two parts, it seems as though they the two films won’t have much of anything to do with each other. Check out what they had to say below. Anthony and Joe Russo were responsible for giving the Captain America film franchise an exciting new twist by adding a political thriller element to the films. They will continue that in Captain America: Civil War, a film that will see world governments coming together to form an accord to hold the Avengers responsible for their actions and to determine when to call the superhero team if governments need them. So far, the Russos’ MCU films have been earthbound, but they will expand that as they add a cosmic and fantastical element to the two-part Avengers: Infinity War. It’s not exactly clear if we will see the Guardians of the Galaxy in either or both of the Infinity War films — after all there we have to figure out how Black Panther, Captain Marvel, Spider-Man, and The Inhumans fit into all of this — but as its title suggests, the Avengers will be a part of it. Still, fans are eager to see if every single character from the MCU will be in the two-part film. With the Marvel Cinematic Universe being as expansive as it is, there is more then plenty of room for characters from other films to cross over into the TV side. 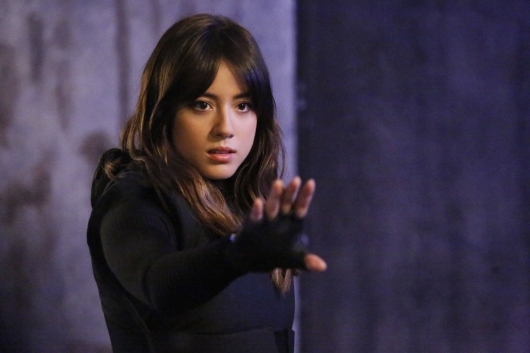 We saw a little bit of that in Marvel’s Agents of S.H.I.E.L.D. with Lady Sif and Nick Fury, but rarely do the characters from the TV world ever make an appearance in the films. 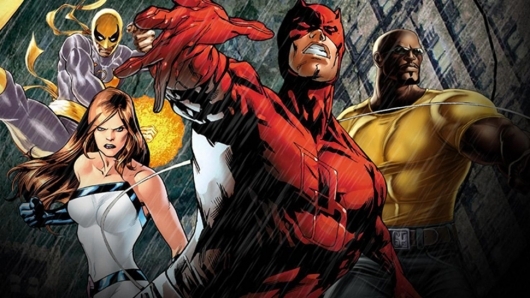 Now with the MCU expanding its TV series with four new titles (Daredevil, Jessica Jones, Luke Cage, Iron Fist) that will culminate into a Defenders miniseries as a part of the Netflix deal, there has been growing expectations for the Marvel Television series of ABC Studios and Netflix to leap to the big screen. Of course that would be a delight for fans for any number of reasons, but just giving everyone from all those series the right amount of screentime would be a tall order. And that’s where Captain America: Civil War and Avengers: Infinity War co-director Anthony Russo comes in. As much as we would all like to see a crossover of that magnitude happen, the director says that we shouldn’t get our hopes up. More on the story below. 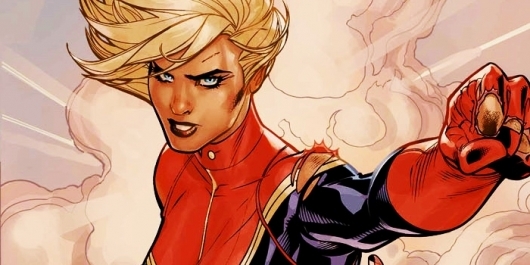 ‘Captain Marvel’: Is Marvel Getting Nervous About Their First Female Superhero Movie? On Thursday, Marvel Studios made the surprising announcement that they had scheduled an Ant-Man sequel entitled Ant-Man and the Wasp to be released on the plum July 6, 2018 date that had once belonged to Black Panther, which saw its release moved up to February 16 of that year. Meanwhile, the studio’s first female-oriented feature, the cosmic adventure Captain Marvel, once again had its release bumped now going from November 2, 2018 to March 8, 2019. Captain Marvel has been in development at the studio for years, but it wasn’t until October 2014 when Marvel chairman Kevin Feige formally announced that the film would be released on July 6, 2018 as part of their Phase Three slate. Then Marvel and Sony managed to work out a deal over the rights to Spider-Man and yet another reboot was given the green light for a July 2017 release in between Marvel’s offerings for that year – Guardians of the Galaxy V.2 and Thor: Ragnarok. As a result, Captain Marvel lost its opening day to Black Panther and was moved back to the November 2, 2018 slot that it was recently forced to vacate. The Avengers films bring all the titular heroes plus some of their supporting ones together to take on a threat they couldn’t take care of alone. For the final film it will be broken into two parts Avengers: Infinity War Part I and Part II, which will bring Thanos out of the shadows and into battle against Earth’s Mightiest Heroes. There was much speculation as to what could happen after that leading into Phase 4, some surmised that major characters would die and with other heroes taking up the mantle in their place. Kevin Feige has said that the next films could follow what James Bond has done by replacing the actor but staying within the same universe. While it’s really not clear if these moves will affect all the characters across the board, Feige has now given us some insight as to what will happen after Phase 3.